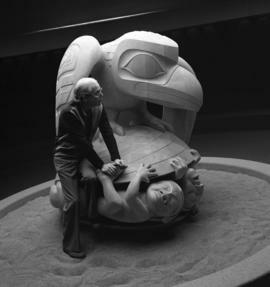 File consists of images of two carvings made from argillite. 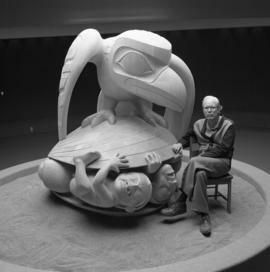 The images were purposefully taken so that the scale of the object can not be determined. 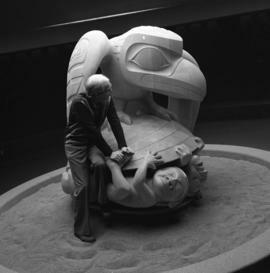 Photographs were taken in the Museum of Anthropology. 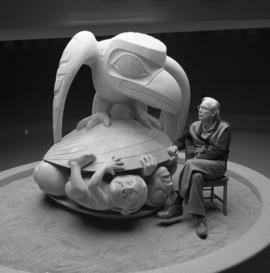 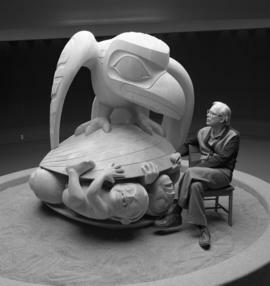 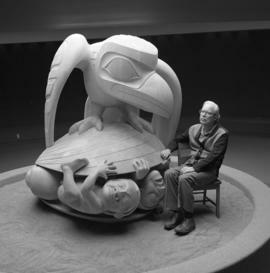 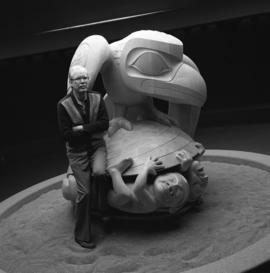 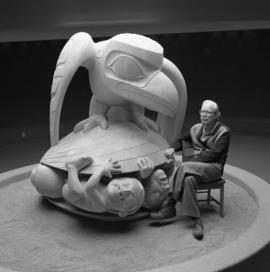 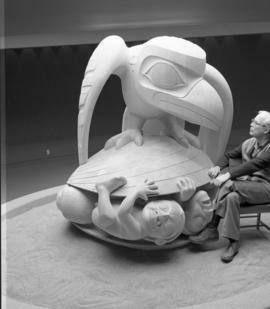 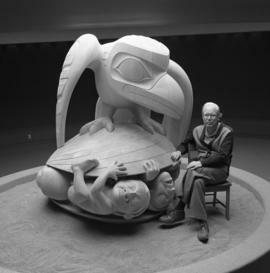 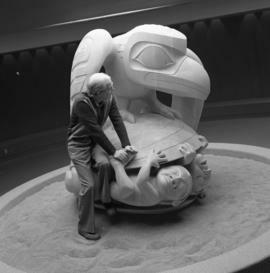 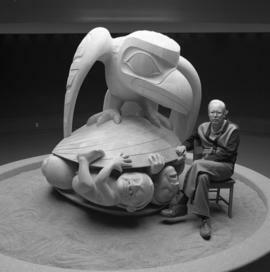 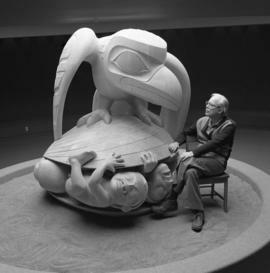 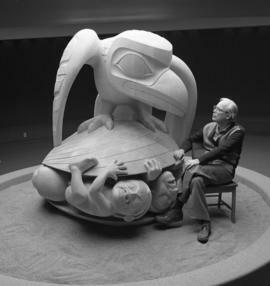 Image of Bill Reid sitting next to his sculpture, Raven and the First Men. 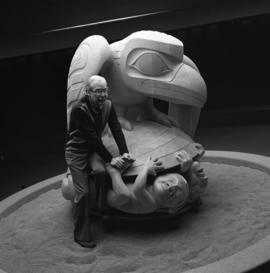 The photograph was taken by William McLennan in the Museum of Anthropology. 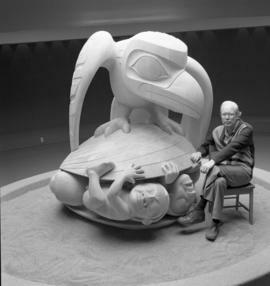 Image of Bill Reid leaning against his sculpture, Raven and the First Men. 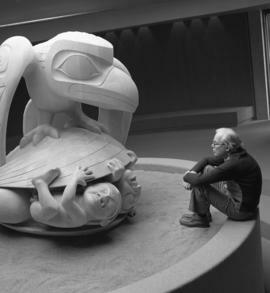 The photograph was taken by William McLennan in the Museum of Anthropology.